Dubai, Tenerife, London or Thailand | About various things! For several weeks I am in constant research, trying to find the perfect place not to feel as I’m aging one year. So in April I am celebrating my birthday (of !!!) and for 5 years I’ve kept warning my husband – without quote marks – that if we do not go together far away form our country, I’ll leave alone. He took the threat seriously as I wanted and I started searching. The first destination I thought was Dubai. I am fascinated by Arab culture, the people there, their food, perfumes, hookahs. We thought we could somehow combine a few days in Dubai and few more days in Muscat. After several days of searching we abandoned the idea, due to my husband’s concern that we will not have much to do in Dubai than two or three days and the idea that for this money I can celebrate my birthday elsewhere (besides, my hubby can drink a beer, too). A second attempt was Tenerife, we had visited it once, we really liked it and wanted to come again, especially after discovering other places we have not had time to visit in our first holiday there. This destination was eliminated after titanic attempts to link some flights because in the first half of the year there are not direct flights to the island. London (again) began to take shape, it would have been the 5th time to visit. Not that I would not like it, I love this city, I’d have a little walk combined with a little shopping. I booked a room (again in London everything is very expensive), I had to buy plane tickets (slightly cheaper), but … magic!! I woke up with an excellent disposition, only good to purchase tickets, when I received an email from Qatar Airways with an offer that they just had launched, with great discounts on the following three days for flights to Asia. I made a quick simulation for flights price and I decided alone our next vacation! (It was 7am, my hubby was asleep and dreaming, perhaps, how he was going to store the luggage in our tiny hotel room on the Thames bank). After about an hour, during which I have already known what was the most visited shopping mall in Bangkok, he sleepy approached to me and he found me smiling with my mouth wide: We’re going to Thailand!!!! Needless to say he wanted more than me to get there. Thailand! 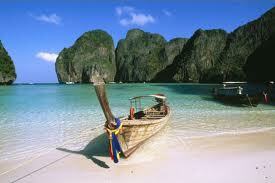 Here I am now with plane tickets to Thailand already bought, booked rooms and with a traveling plan halfed conceived. Although we are leaving in April, we both can’t wait. I want my birthday to be perfect. Until then I have to buy some travel size cosmetics which I need because I do not want to travel with a lot of luggage and carry them all over those islands, especially as we are having three stops. Hence, I plan a new iHerb wonders order. Dubai, Tenerife, Londra sau Thailanda??? ← Professional hair dryer? Oh, yes !!!! 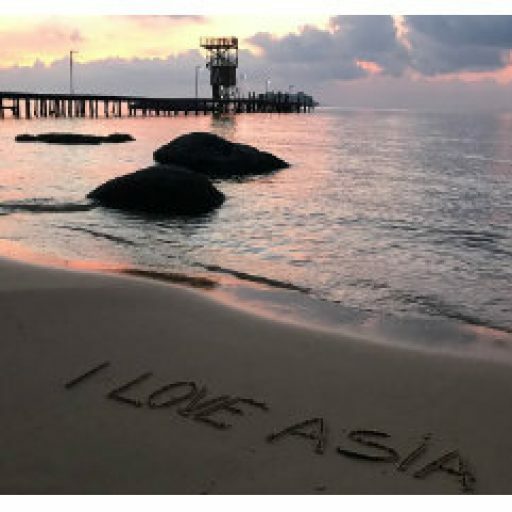 My first contact with Thailand | About various things!